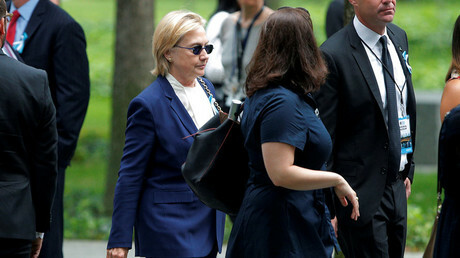 Hillary Clinton’s admission that she has pneumonia after allegedly becoming “overheated” at a 9/11 event has even some in MSM acknowledging that the issue of the Democratic candidate’s health can no longer be ignored, as her tour has been put on hold. 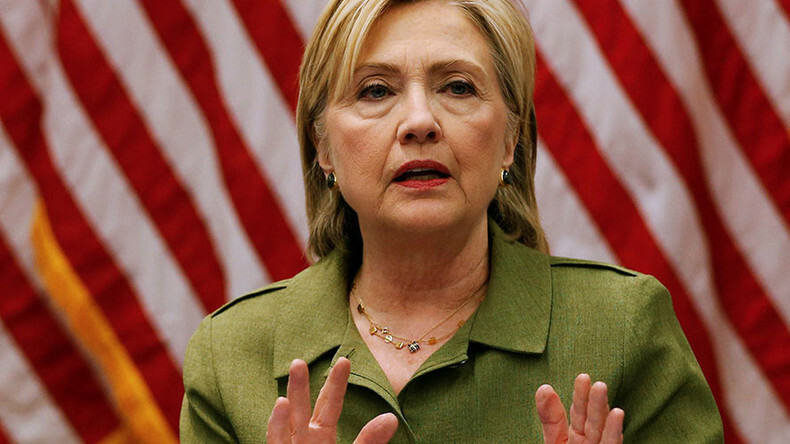 What impact will this have on #hillaryclinton's campaign? With Hillary’s health problems, both confirmed and perceived, one of Trump’s recurrent arguments as to why his rival is “unfit and incapable” of being the next US president, it took only a matter of hours for things to get “pretty aggressive on the campaign trail,” RT America’s host and political commentator Ed Schultz noted. “The question begs had she not had the fainting spell today in New York, when was she going to tell the country that she had pneumonia, if she was going to tell the country,” Schultz explains, noting that Clinton will come under “an enormous amount of scrutiny” during the final stretch of the campaign. This disclosure problem has even become the focus of some major US media outlets that had previously dismissed the Hillary health-talk as un-newsworthy. “Mainstream media hasn’t liked discussing this topic… Now, suddenly, this is a national debate, whereas before it was more done by the ‘fringe’ people associated with supporters of Donald Trump,” Dr. Max Abrahms, an assistant professor of political science at Northeastern University, told RT. Indeed, when #HackingHillary was making the headlines last week, the liberal media appeared not to notice, or downplay the then-alleged health problems. However, since Clinton’s apparent fainting spell due to what was initially explained as “overheating,” and then pneumonia-linked dehydration, some outlets have seemingly made a U-turn in their coverage. Is this hadn't happened, would Clinton campaign have announced pneumonia? One reason why Clinton/Trump should release medical records. — adam nagourney (@adamnagourney) 11 сентября 2016 г. “Whereas Clinton and her campaign could laugh off questions about her health before today, the ‘overheating’ episode makes it almost impossible for them to do so,” Cillizza wrote. The New York Times’s Adam Nagourney has also joined the choir of those demanding the immediate release of Clinton’s medical records. In speculation on social media, amateur video-based “diagnoses” widely range from thyroid disease to an early onset of Parkinson’s. “Feels like a good day for Clinton to release her medical records and call on Trump to do same,” he wrote on Twitter. Other mainstream media outlets, such as MSNBC and CNN, have been reporting on the story, while the AP ran it as breaking news. CNN ran an article by Stephen Collinson titled “Hillary Clinton stumbles – will her campaign follow?” that raised questions about the future of her nomination. Not everyone has found the HRC campaign’s delay in reporting the pneumonia surprising. Abrahms explained that Clinton’s modus operandi “has to do with less sharing, not more sharing,” noting that recent events have only been “reinforcing” this notion. “Hillary Clinton likes to keep her cards close to her chest. She’s not big on transparency. She’s infamous, really, notorious for not giving press conferences, and she of course didn’t share the contents of her speeches, which is the main way that she’s made tens of millions of dollars, the information about the Clinton Foundation, in terms of who those donors were… She’s unwilling to state whether her daughter will take over the Clinton Foundation, assuming she becomes president,” Abrahms summed up. BREAKING: Hillary Clinton cancels plans to travel to West Coast on Monday and Tuesday following health episode at 9/11 memorial. — The Associated Press (@AP) 12 сентября 2016 г. The Clinton campaign announced on Sunday night that she was cancelling her trip to California, where she was supposed to appear at fundraisers on Monday and Tuesday. Her busy tour schedule is not the only demanding activity the recovering candidate will have to worry about, however, as the pre-election debates are also fast approaching. “We’re quite close to the election now, and so the American public is really tuned in. Later this month, Hillary Clinton begins a grueling set of debates against Donald Trump, and she’s going to need to be healthy, just physically, to withstand those debates – something like 90 minutes of debating,” Abrahms notes, wondering if Clinton will be able to go the distance.